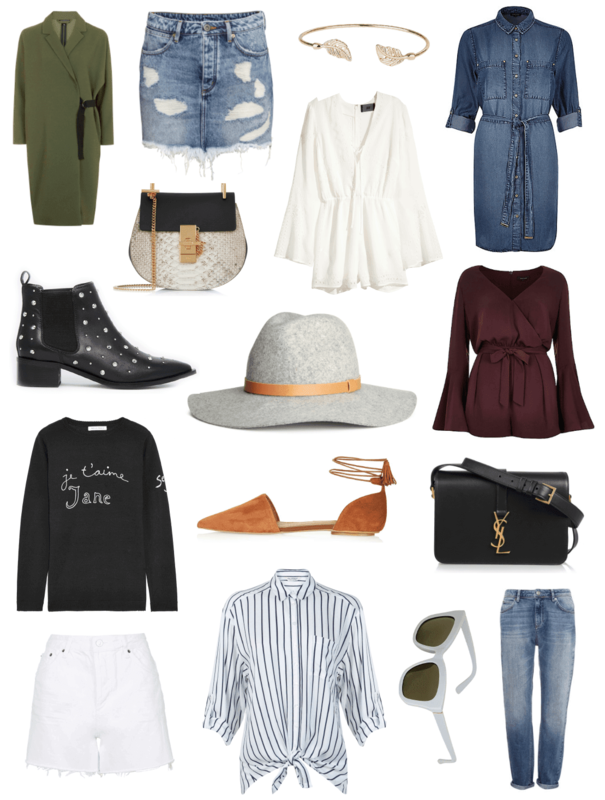 I seem to have bypassed June in terms of wishlists, other than to showcase (I actually typed shoecase there) some beautiful shoes, so I thought it was best to have a proper trawl online to see what beauties are in the shops. A lot of places are getting new season bits and pieces in now, so this wishlist seems to have a bit of a A/W feel to it with the colour scheme! Stand out pieces to me are definitely those studded boots – I feel an order coming on with those! They’re just so perfect and remind me a little of Saint Laurent for some reason. I also really love the Chloe bag, but I’ll be chalking that one up to a dream purchase as I also love their Faye bag. The jumper paired with the denim mini skirt would look amazing together for those slightly cooler, summer days. Oh and you can’t go wrong with that pretty white playsuit, it looks gorgeous on the model! What are you adding to your wardrobe this month?